By Hum, April 29, 2017 in It's a Conspiracy! 25 years of research, investigation, and interviews with Government officials and the Military, on what's behind UFOs, Aliens, and suppressed Technology is revealed in this new movie & book. Learn what the US Government has tried to keep secret for over 70 years. Learn the plot behind cattle mutilations fake alien Abductions. Find out why 100's of people have died to suppress the secrets. A must-see video and movie [out May 9th]. This is the live stream of the unacknowledged red carpet premiere. It features Dr. Steven Greer and Ron James interviewing people at the event and Dr. Greer making his presentation before the film. 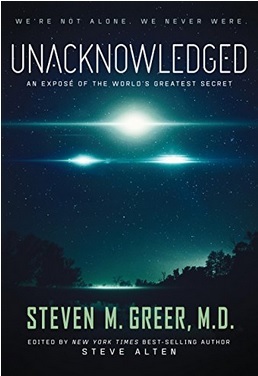 Got my copy of Unacknowledged. To see more attractive movies on the phone. With utility applications: Movie BOX, Mobdro, 123movies. You can download it at Apptogamedotcom.